Despite being known for its high cost of living, Singapore is actually more affordable than many cities in Asia Pacific such as Jakarta, Bangkok, Manila and New Delhi – for young people. 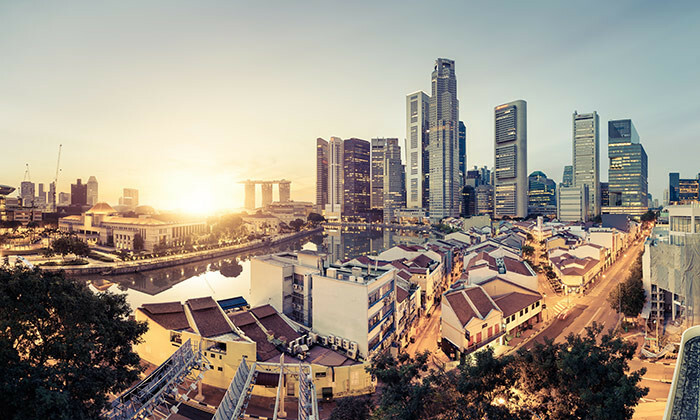 According to a new report from YouthfulCities, Singapore is the seventh most affordable city in the Asia Pacific region and the 30th most affordable city in the world. Measuring the cost of everyday items relative to one hour of the the city’s minimum wage labour, the report found that Sydney is the world’s most affordable city with a minimum wage of US$16.28 per hour. It was followed by Montreal (US$10.05), Detroit (US$8.15), San Francisco (US$11.05) and Berlin (US$11.29) rounding up the top five. In Asia Pacific, the top five most affordable cities (in ascending order) are Sydney, Tokyo ($9.10 USD), Osaka ($8.39 USD), Seoul ($4.46 USD) and Hong Kong ($3.87 USD). Shanghai ($2.75 USD) comes in sixth, just in front of Singapore ($4.00 USD). For cities without a legislated minimum wage, for example Singapore, the report took the base wage at a typical entry-level job. It found that the cities with the highest minimum wages are Sydney, Paris, Berlin, San Francisco and Montreal. Singapore ranked 24th, followed by Hong Kong in 25th place. “Most of the cities in the top five show up there because of their relatively high minimum wages. Sydney is top in both cases, Montreal has the 5th highest minimum, San Francisco 4th and Berlin 3rd,” the report stated. So which cities are the most affordable for your everyday items? When it comes to buying takeout, Tehran is the most affordable, where youngsters need about half an hour’s work to be able to afford their favourite fast food meal. It was followed by Detroit (0.64 hours), Sydney (0.72 hours), San Francisco (0.75 hours) and Tokyo (0.76 hours). Hong Kong (1.16 hours) is ranked 21st, while is Singapore (1.49 hours) is ranked 25th. People who love their eggs should move to Detroit where it is the most affordable, with employees having to work just about 16 minutes to earn a portion of the global food staple. It was followed by Chicago (0.29 hours), Dallas (0.31 hours), Osaka (0.31 hours) and Tokyo (0.31 hours). Singapore (0.62 hours) is ranked 25th in this aspect while Hong Kong (0.95 hours) comes in at 31st place. As for toothpaste, it was the most affordable in Berlin, where working for just nine minutes is enough for young talent to earn the amount needed to buy a tube. Montreal (0.18 hours), Los Angeles (0.21 hours), Chicago (0.22 hours) and Detroit (0.24 hours). Singapore (0.65 hours) ranks 24th while Hong Kong ranks 26th. Fitness fanatics would love Sydney for its most affordable gym prices followed by Berlin, Detroit, Montreal and Miami. Hong Kong comes in 24th for affordability of gym memberships while Singapore (26.03 hours) is ranked 28th. Frequent cab-seekers would be happy to find that Beirut has the most affordable standing rates followed by Durban, Tehran, Manila and Casablanca. Unfortunately for cab-seekers in Singapore (0.68 hours) and Hong Kong, the cities are ranked 37th and 34th respectively. Moviegoers are bound to love Berlin for its low cost movie tickets followed by Paris, Sydney, Montreal and San Francisco. Singapore (2.18 hours) takes 24th place while Hong Kong comes in 27th. Where rental is concerned, it is no surprise that land-scarce Singapore will rank low in affordability at 40th place while Hong Kong ranks in at 46th place. For affordable rental, the top five places were taken by Berlin (131.15 hours), Montreal (161.43 hours), Sydney (186.72 hours), Detroit (191.66 hours) and Dallas(212.70 hours).